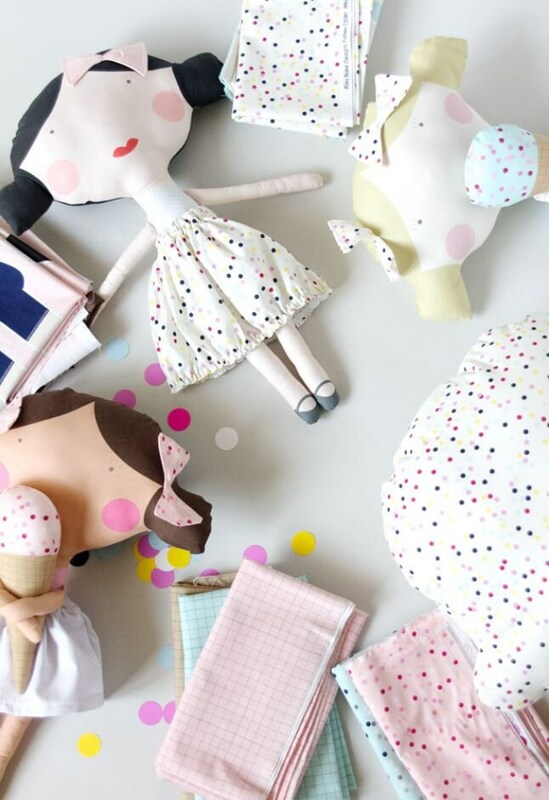 Cut and sew DIY doll pattern fabric panel. See Kate sew by Riley Blake designs printed cotton panel. 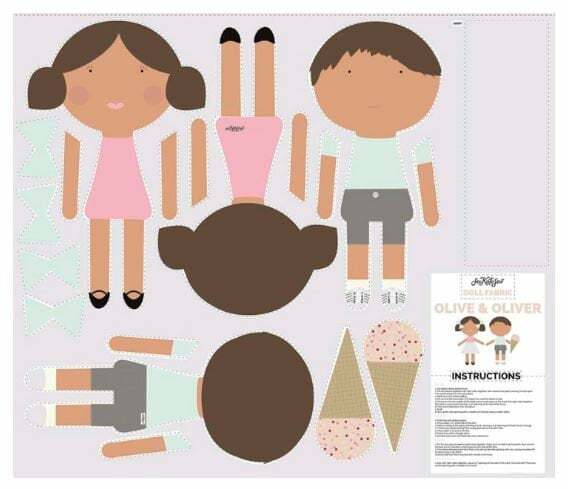 Each Olive and Oliver panel comes printed with a girl and boy doll design, as well as an ice cream and instructions! Full size panel is 36" x 44". Create these fun dolls from this panel. Included is easy to follow instructions to create Olive and Oliver. 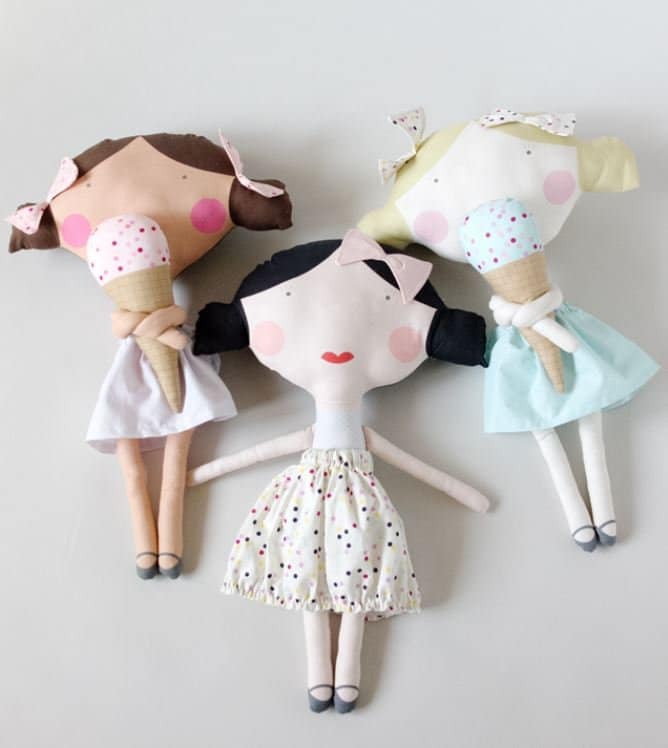 A great project that creates some beautiful dollies. This is a really simple and easy to follow sewing project ideal for beginners and children. 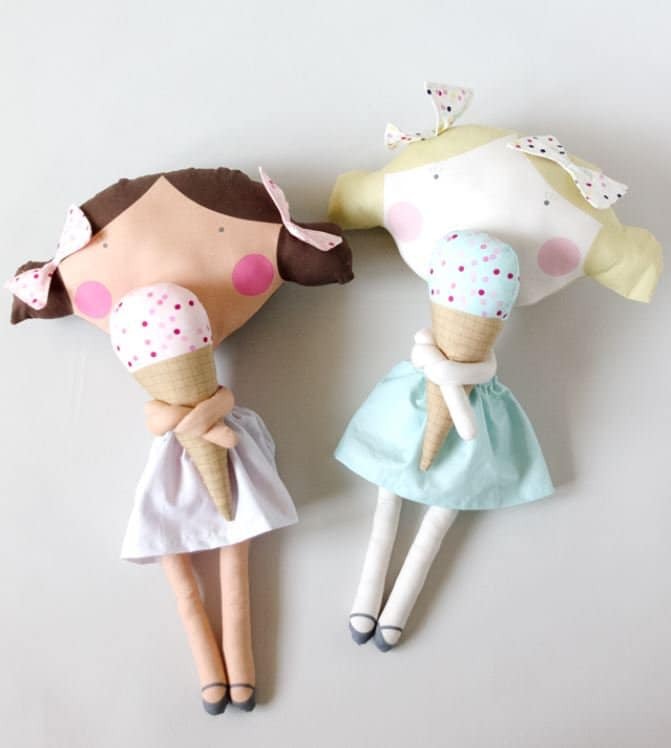 The dolls can be made using a sewing machine or by hand stitching. 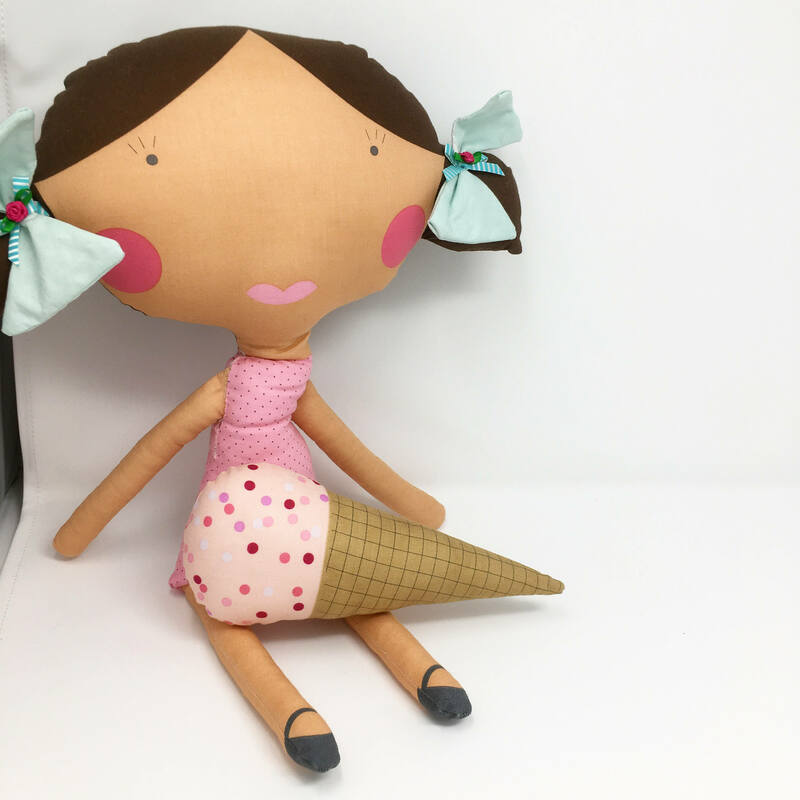 The finished dolls are so sweet and can be customised with your own clothing and accessories.